I have been wanting to make this recipe at home for ages but assumed it was way too complicated. 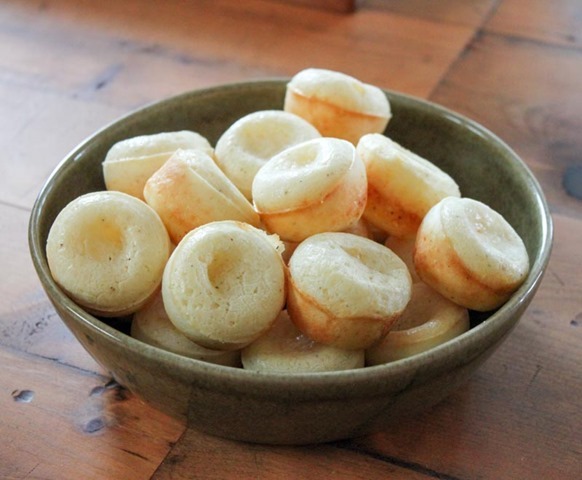 I was so wrong; this recipe couldn’t be simpler or easier to make. What a fool I’ve been! 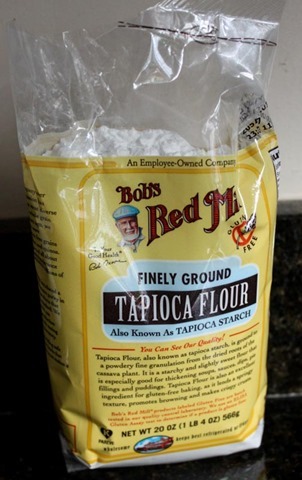 The key to this recipe really is the tapioca flour. First of all, it’s made from cassava root so it’s gluten free and grain free. 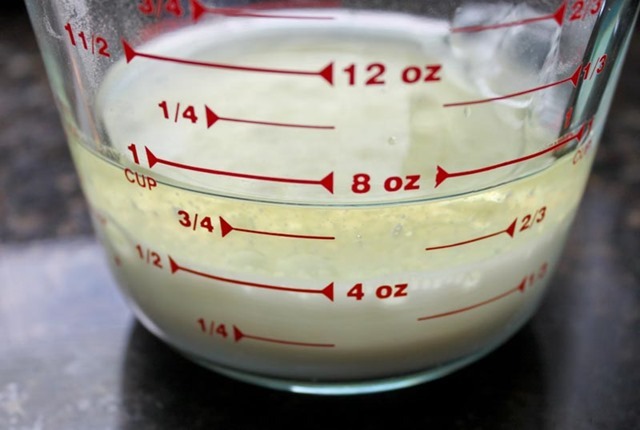 The consistency is the same as cornstarch and is used in similar applications (thickening soups, sauces, and pie). In this bread it’s perfect since it’s super light and very chewy. 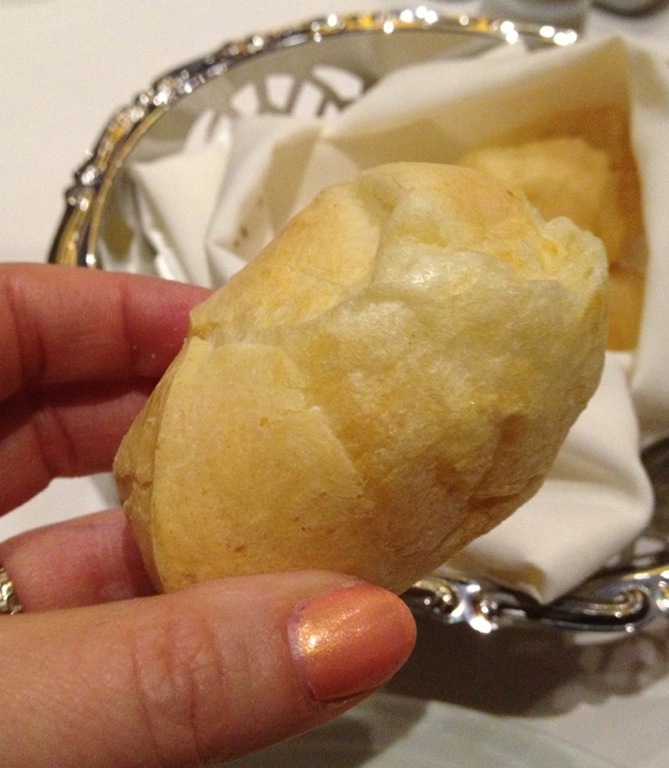 When researching this recipe I found two methods to make this bread: 1) the pâte à choux method which requires cooking the dough on the stove and then baking and 2) mixing in the blender then baking method. The recipes were identical so I favored the simpler one with less steps (aka the blender method). 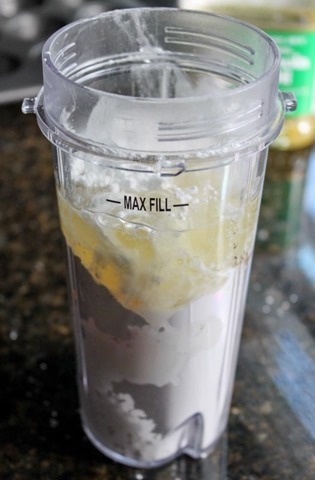 Combine all of the ingredients (minus the cheese) in a blender and blend together. 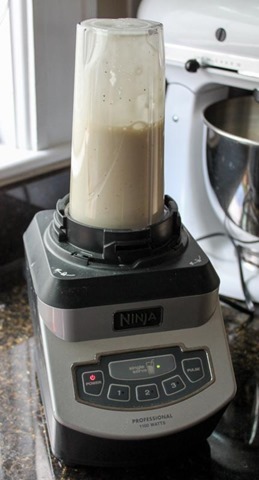 I used my Ninja Professional blender (the single smoothie cup was super handy for this recipe!). Shred the cheese if you can, it’s so much fresher and flavorful that way. 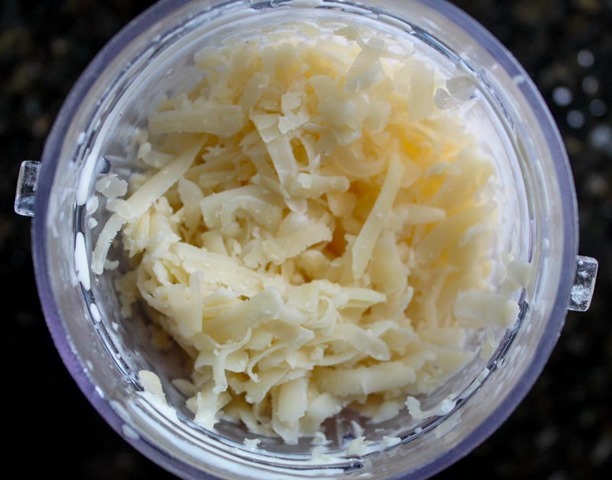 Add the cheese to the blender and give 2-3 pulses. 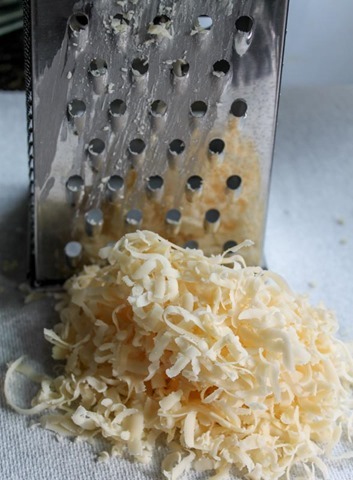 You want to incorporate the cheese without obliterating it. 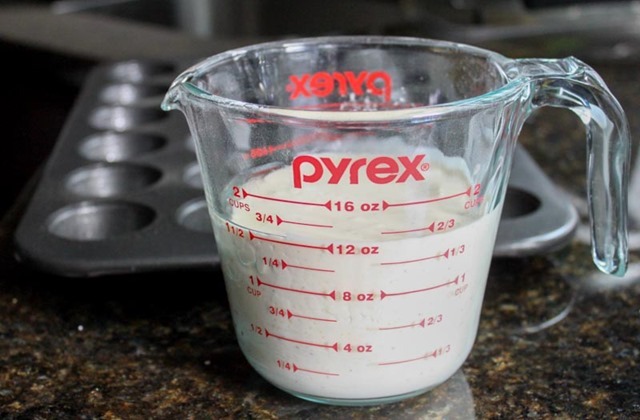 Using a measuring cup that you can pour from, pour the bread batter into each cup in a greased mini muffin pan. Fill up each cup 3/4 way. 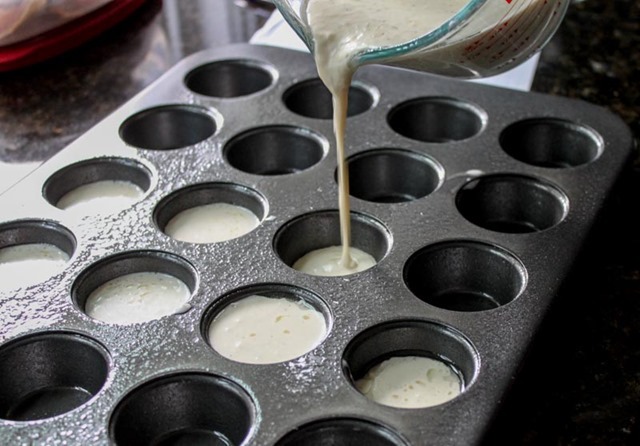 Bake on 400 degrees for 11-15 minutes depending on your oven. It takes 11-12 in my powerful gas oven. 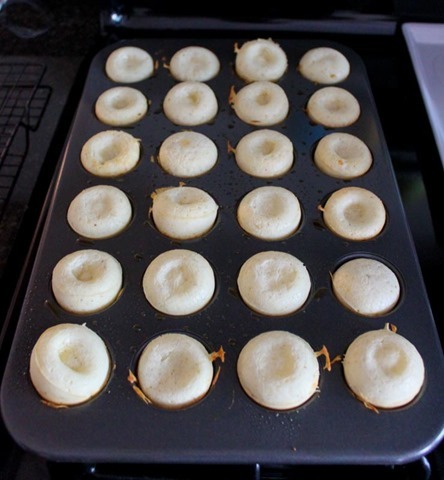 You want a golden brown bottom, the tops will look puffy but won’t be browned. The middles might sink a bit but it’s totally normal and won’t affect the bread’s flavor or texture at all. 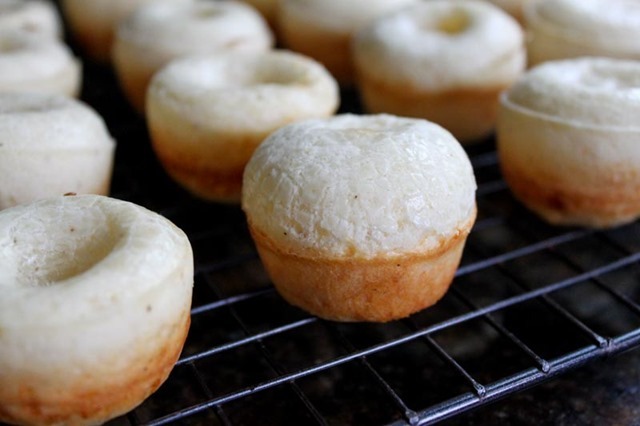 These are best eaten freshly baked and just cooled. 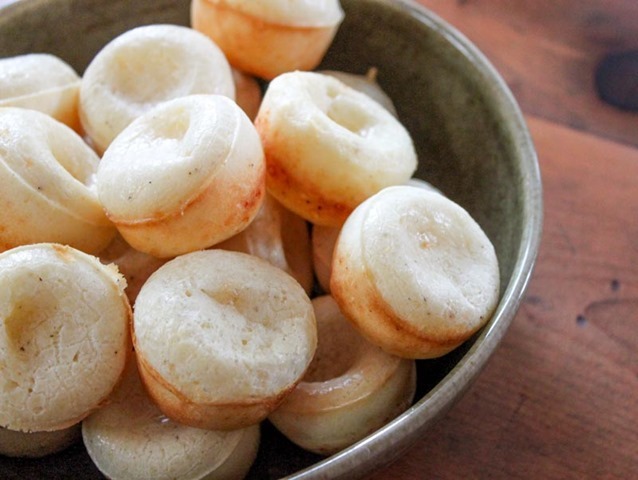 I don’t recommend reheating them later, trying to store them, making them ahead of time, or bringing to a summer cookout outdoors (yep, tested all of those scenarios and it wasn’t good). If you are a Fogo fan, try this recipe. 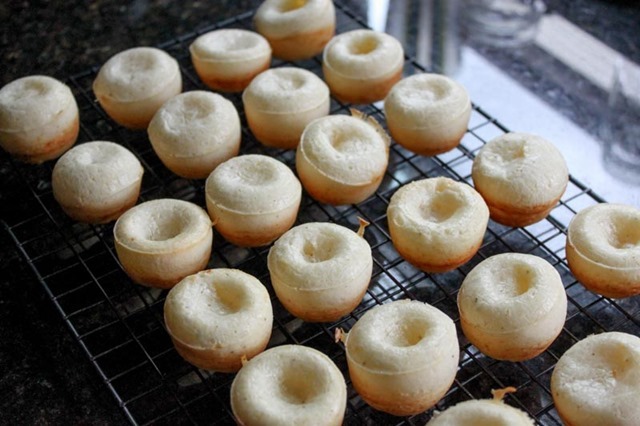 You will impress everyone you know for perfectly replicating their recipe. 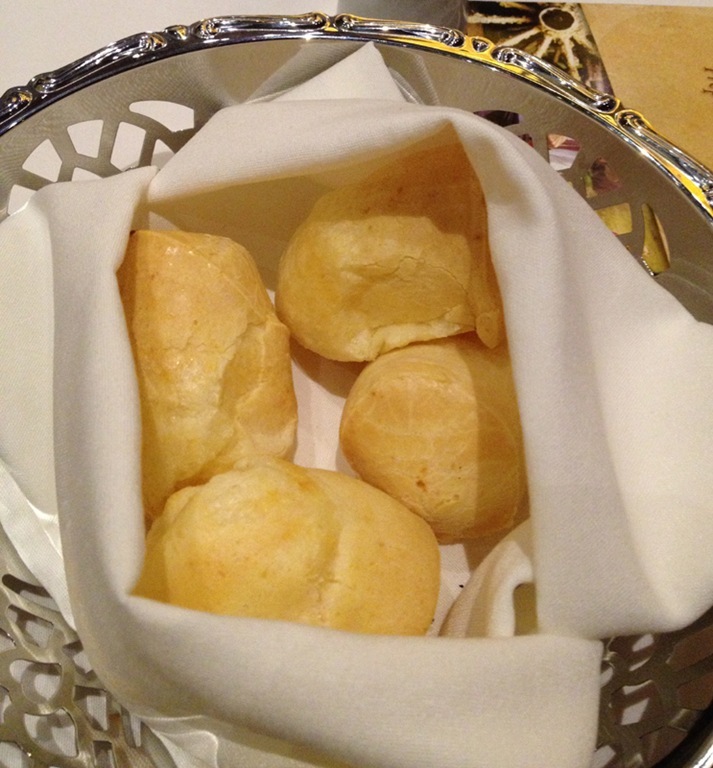 And even if you haven’t been to Fogo, try these! Because cheesy bread! 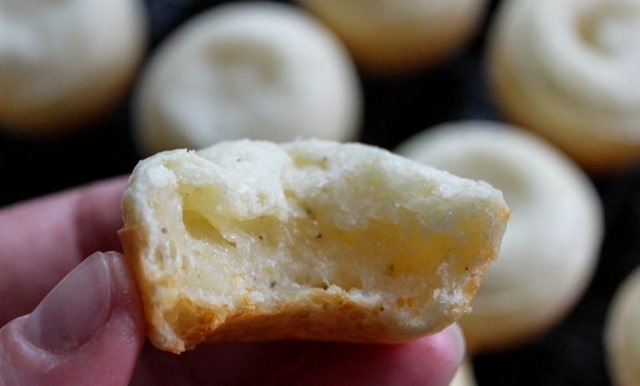 Perfectly crispy, savory, soft, warm, heavenly, pillowy cheesy bread.